As a Muslim French woman, my feelings regarding France’s victory in the 2018 FIFA World Cup are quite divided. They are not divided about the game per se – the players undoubtedly demonstrated their brilliance on the field, and I do not see how I could be unhappy about winning the title again after 20 long years. Rather, I am sceptical about what changes this win will bring to individuals belonging to certain ethnic groups in this country, and to the Muslim faith in particular. Nothing major, I fear. As a lot of people have been pointing out on social media, 15 players of the French national team come from Africa, while seven are Muslims. Yet, this fact is never highlighted in mainstream media, and while the common Frenchman might easily associate a player having African roots due to their skin colour, they are often stranger to the fact that a certain player is a Muslim. Not that the personal beliefs of any footballer should become a subject of scrutiny (ideally they shouldn’t), but in the context of France and its ever-rising Islamophobia, the media should probably take responsibility and play its part in bringing more peace and tolerance to people’s minds. •When they need asylum, a job, an education, food, housing, shelter, a mosque, and basic humanity—they’re Migrants. •When they win the World Cup—they’re French. 78% of the French football team are immigrants, and 50% are Muslim. Muslim immigrants rebuilt France after the Second World War, and they've helped make France the #1 team in the world. Diversity is strength. Racism is weakness. Ultimately, this victory seems to be nothing more than a temporary distraction. It makes for a good excuse to not speak about important topics and address the real issues plaguing French society. Today, if two individuals with the same credentials apply to get a job or a house, the one who happens to be “not French-looking enough” (whatever that means) or whoever has a more “exotic” name as compared to “Jean” or “Dupont”, will realistically be much less likely to succeed in his or her endeavour – and this is not fiction. Countless surveys and social experiments have proven this sad state of affairs in France. Let’s not even bring up the plight of Muslim women, who face even more challenges on a daily basis due to obvious discrimination and limitations when it comes to how they choose to dress their bodies. For all these reasons, it is important to not only bring awareness about the Muslim faith of certain players, but also make the common man understand that Islam is by no means an obstacle to French identity. Zidane and Pogba – two Muslims that led France to their two #WorldCup titles. In 1998 and 2018. Their faces illuminated on the Arc de Triomphe, a symbol of the nation. Islam CAN coexist with French identity. I am also divided due to an apparent politicisation of the game. It would be foolish to assume that all the players of the French team voted for Emmanuel Macron in 2017, let alone endorsed his subsequent actions and notably, his recent bombings of Syria. I see these footballers more as a team from France, rather than a team of the French government. The fact that the national team shines today on a world stage is exclusively due to the efforts and endurance of its players. Macron has had no hand in this victory. Does his presence during the match lend a political dimension to this win? I would not like to think so, as a football match is not meant to be an endorsement of a certain political agenda. However, the French media has already started its clever manipulation by giving absolutely undue credit to our president, which is simply ridiculous. 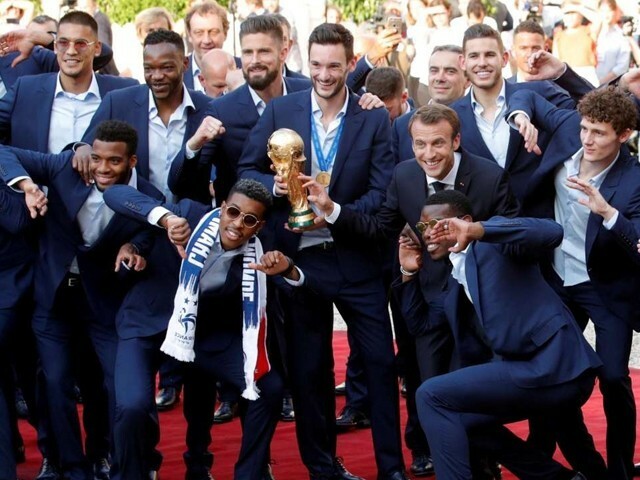 While all the memes claiming that it is not France but Africa which has won the World Cup may seem funny at first, they reiterate a sad truth: immigrants have still not been fully integrated into French society, and many of them are more inclined to refer to the nations of their ancestors as their real “home”, instead of France. In an inclusive society free of racism, discrimination and Islamophobia, this would not be the case. Moreover, I feel sad when it comes to the people of France too, who do not hesitate to take to the streets when it comes to a football game, but do not feel inclined to do the same when it comes to protecting peace, social rights, public services, independence and freedom – which are all more important issues. The sheer size of the crowd present on the Champs-Élysées over the past couple of days proves the power of the people, and how it could potentially bring a government to its knees. More than ever, today’s generations should take inspiration from the French Revolution and decide to fight (not literally, of course) for their ideas, instead of constantly submitting themselves to the will of those in power. 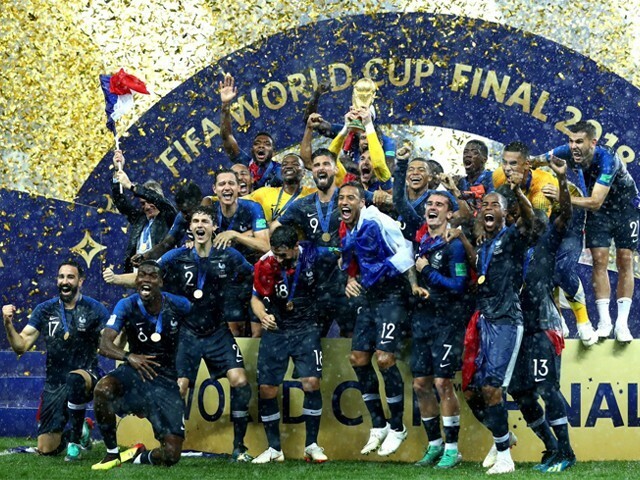 Sitting in wondering what would France be like if the French fought as hard against anti-African racism and Islamaphobia as it is currently celebrating winning the #WorldCup delivered by a team with an overwhelming majority of Africans and Muslims. All said and done, history was indeed witnessed. We can just hope that tomorrow will be better for the people who made the day historic, and that apt conclusions will be derived from this victory. The author is a French Muslim, and a student of Islamic Studies at Middlesex University. Its so funny that Muslims want to debate on equality & respect about immigrants in a predominantly Christian country like France. Then you sould put off veil of sister’s of church because it also represent religious sign.